Although mainly still dependant on traditional sources of fossil fuel, Africa is rich with potential for wind, solar, geothermal and hydropower energy. Forecasts predict that by 2040 renewable energy may well provide more than 40% of all power generating capacity on the continent if decisive, innovative action is taken in the coming years. As it stands, South Africa derives roughly 4% of its energy supply from renewable sources, leaving a widespread opportunity to, for example, harness the extensive wind potential in the Western Cape or promising solar potential in the Northern Cape. Furthermore, South Africa is a solar-rich nation, known to have amongst the highest levels of solar resource worldwide. 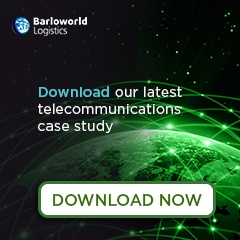 According to Blake Ferguson, COO Barloworld Transport at Barloworld Logistics, supply chains play an integral part in the growth and development of this sector. Renewable energy processing plants utilising the power of the wind or sun are generally located far from consumer demand and require massive, precision-engineered components to operate successfully. This geographic dispersion needs supply chain expertise coupled with a thorough understanding of health and safety requirements to deliver the equipment required to utilise such resources effectively. 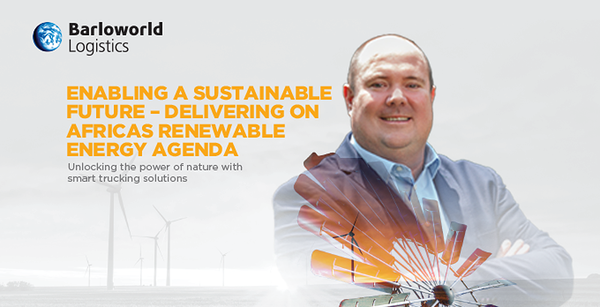 The scope, demands, and indeed opportunities, offered by renewable energy resources throughout the continent are both daunting, and alive with endless possibility. As more and more industries and nations turn to such resources as vital for their futures, the need for correspondingly sustainable and capable supply chain solutions will become more and more critical. The way in which the supply chain opens geographies, enables operations and responds to ever-changing demands may well make or break the commercial viability of an industry only just beginning to test the reaches of its application and capability. To receive articles like this directly to your inbox, subscribe by clicking the button below.